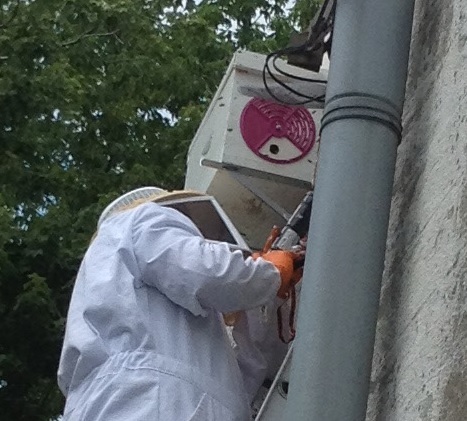 The Hive Guy setting up a trap out to remove honeybees from an ambulance station. No bees were harmed! If you would like to schedule a stinging insect job or receive a free estimate, or if you would like to find our products in stores, please feel free to call or e-mail us! Our phone number is (774) 633-9233 and our email address is Chris@HiveGuy.com.